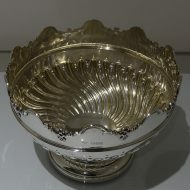 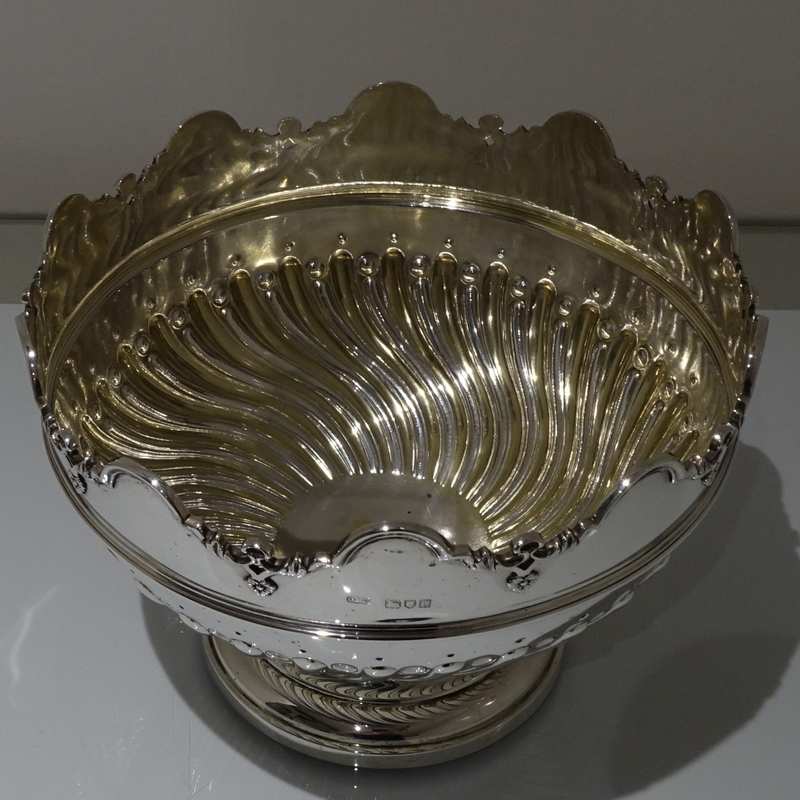 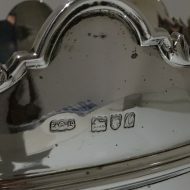 A stylish Victorian rose/monteith bowl. 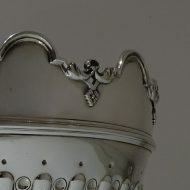 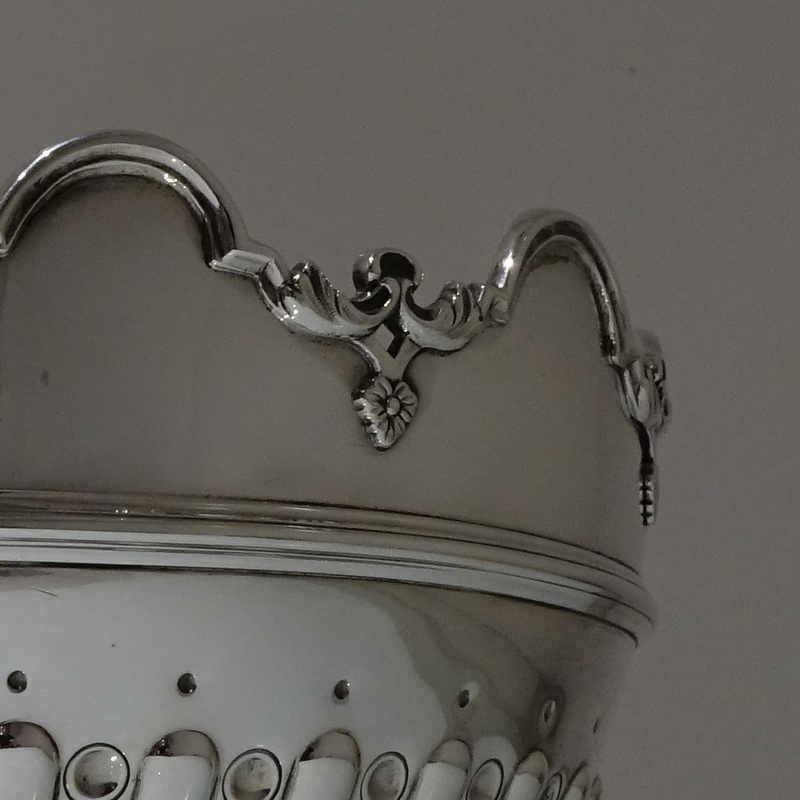 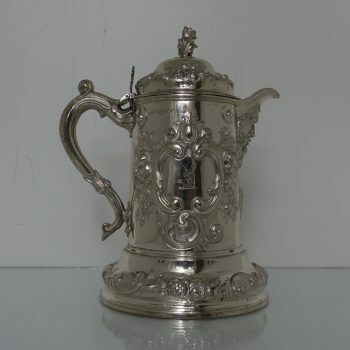 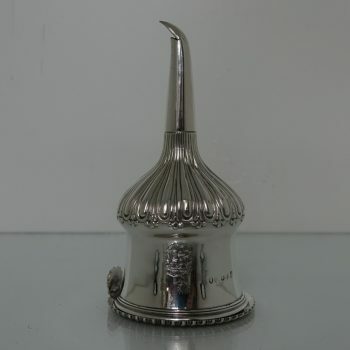 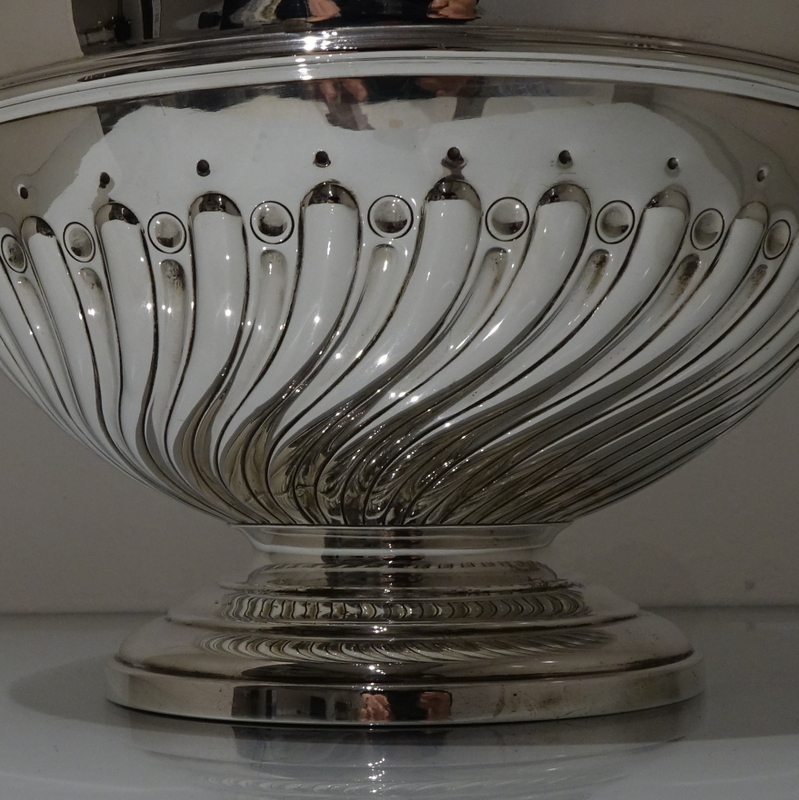 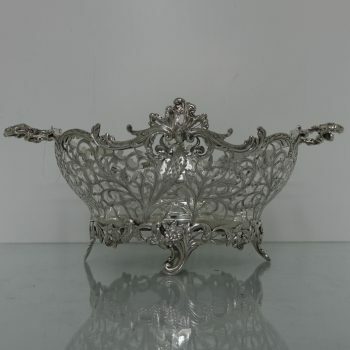 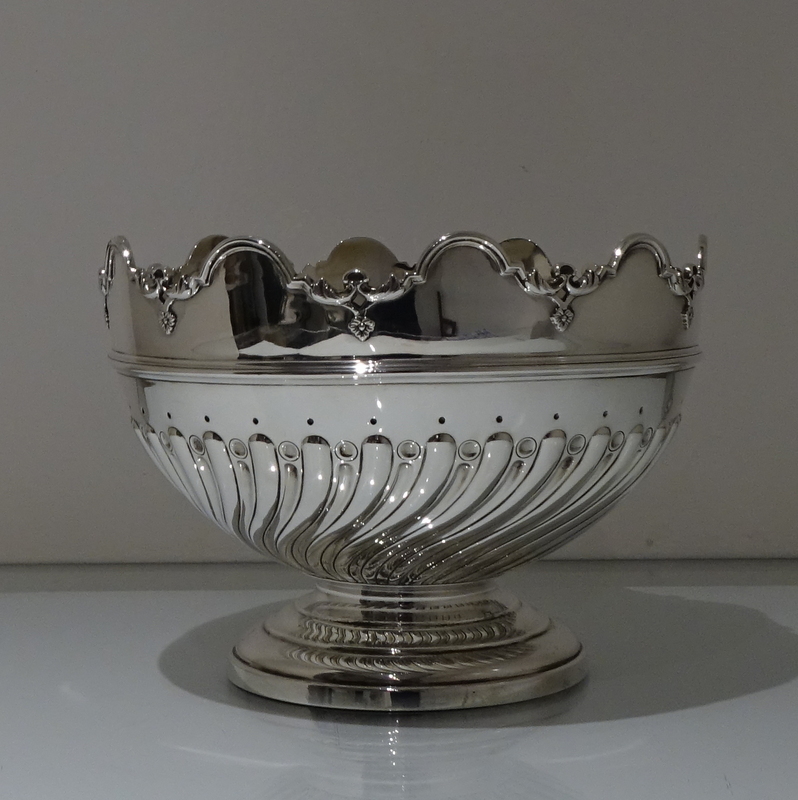 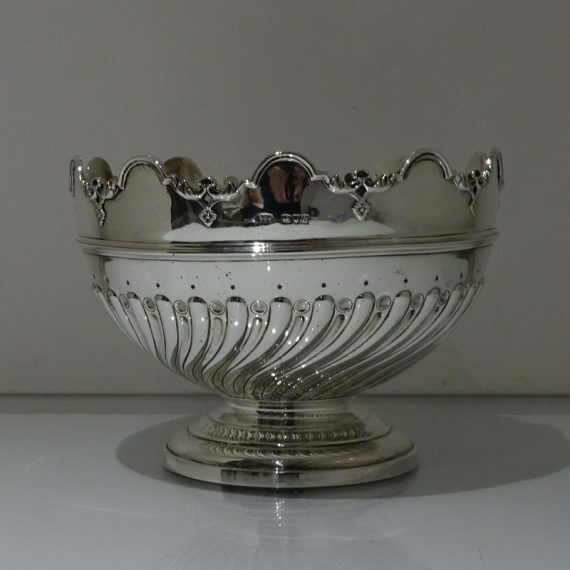 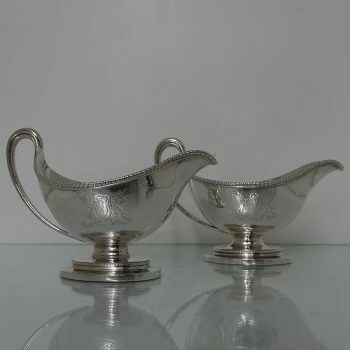 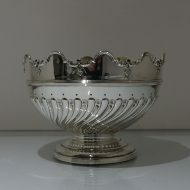 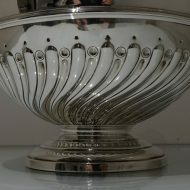 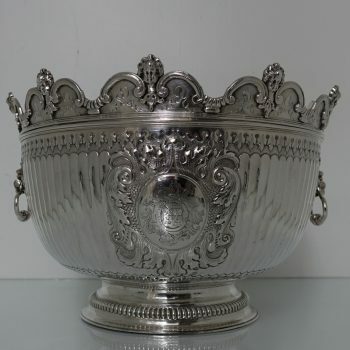 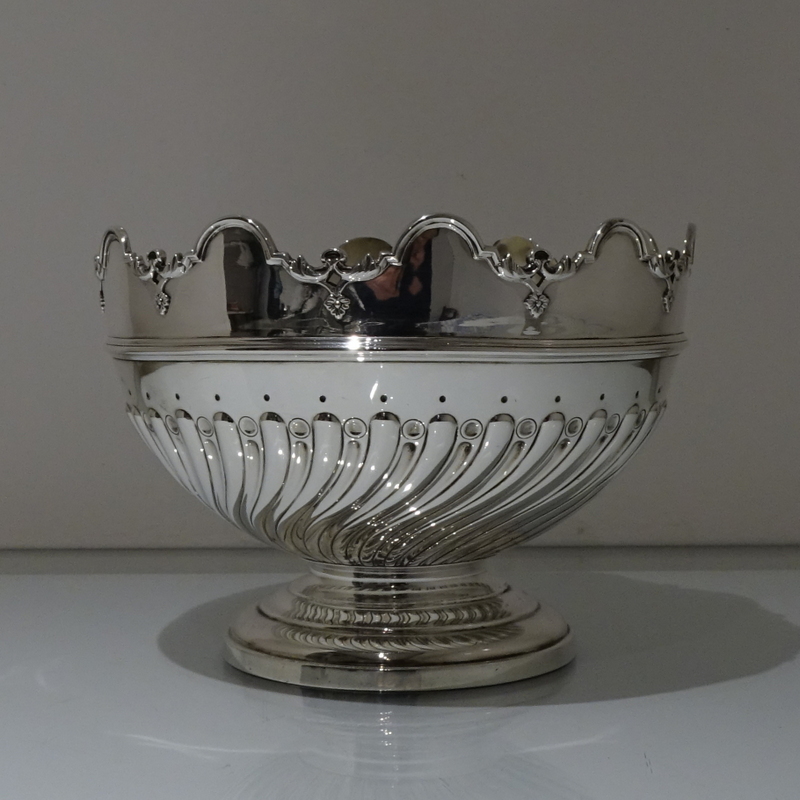 A splendid mid-sized 19th century circular silver rose bowl decorated with elegant spiral fluting to the body. 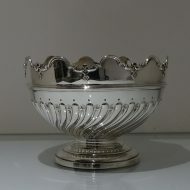 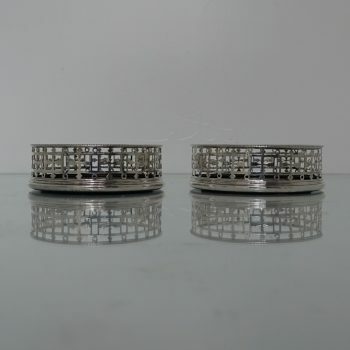 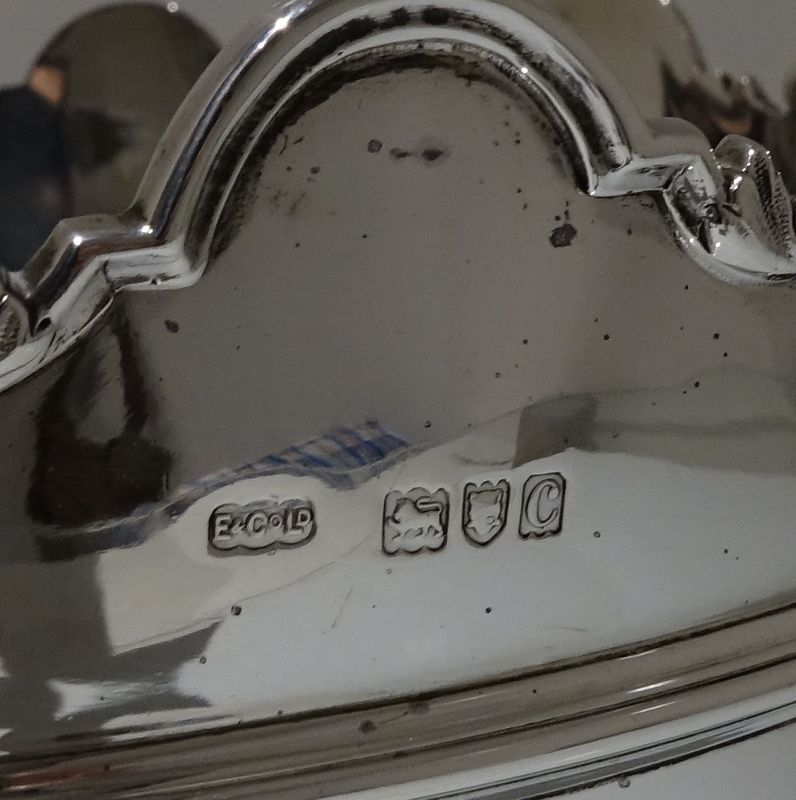 The stylish rim of the bowl is fixed in order for you to use as rose/monteith bowl.